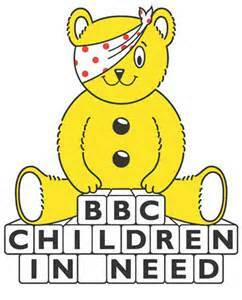 Every year, Children in Need sets out to raise money and awareness for various children’s charities and causes across the UK and abroad along with Comic Relief every two years or so; the latter of which focuses on all people, children and adults alike. Both do a lot to make peoples lives better than what they are at present. Every time the show comes around a certain man in a blue box materialises to lend a helping hand to both events. 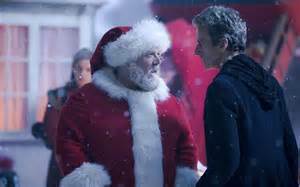 It starts with a clip of the Christmas special with Clara talking to Father Christmas and his Elves when the Tardis materialises with the Doctor ordering her to get in the Tardis. He then tells Father Christmas he wants no part of what he is up to and the Tardis de-materialises leaving a sneering Father Christmas saying he will have no choice. It was only a very short clip, less than a minute, yet it opens up yet more questions; namely will the man in the red suit turn out to be something else entirely or will he actually be the mythical giver of gifts? The child in me is quite excited about the episode which is only a few short weeks away now. It will be the last until the new series begins and possibly a Comic Relief special in March? I think the audience were as excited to see the clip as I was! I just wish they had done something special for it instead of just showing a clip for that would have been brilliant. Maybe they weren’t asked or were too busy? Who knows? What I do know is that the small clip will help in some small part to the Children in Need cause. I hope that they have a successful night. To donate to Children in Need 2014 please click here. Every little helps as they say.